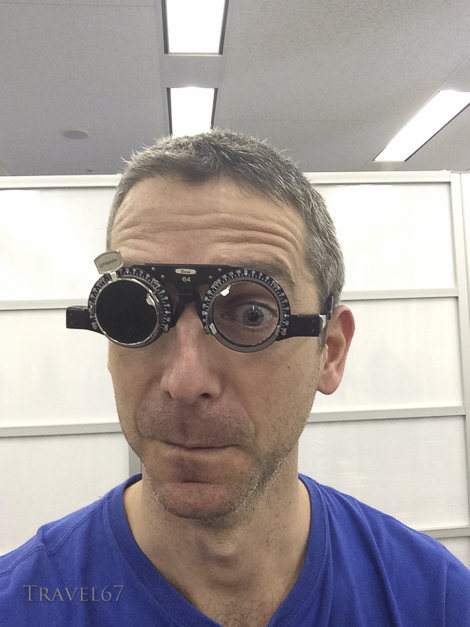 A quick follow-up post about LASIK in Japan. 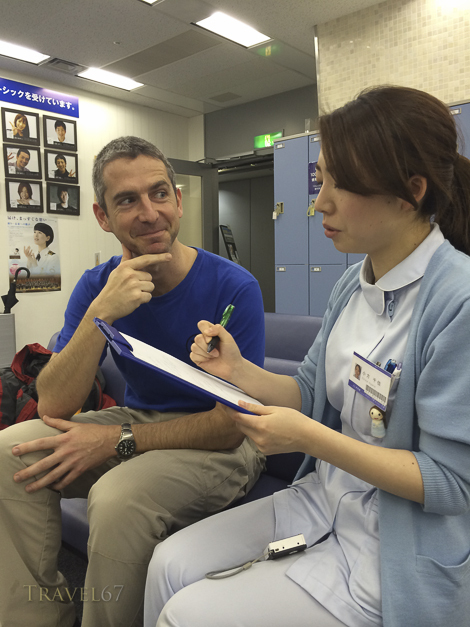 Last weekend I flew back up to Tokyo for my 1-month checkup at the Kobe Kanagawa Clinic in Shinjuku. New eyes, same silly faces. As with my previous visits things went very smoothly. I filled out another questionnaire in English asking if I’d have any problems at all. 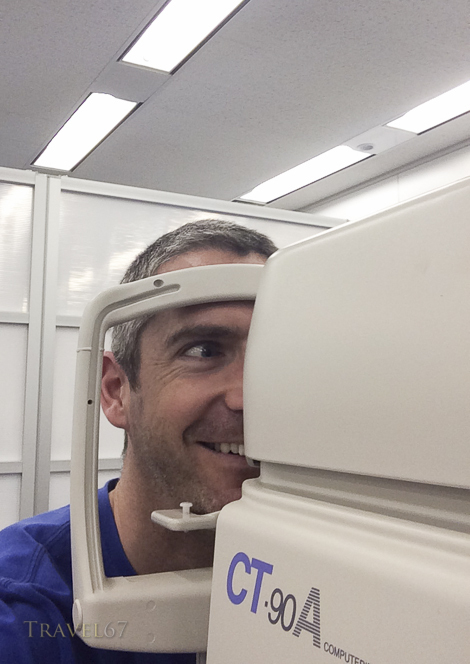 I then met with an examiner who tested my vision. I could read the bottom line of the chart with both eyes open (2.0) and when using just one eye I could make out most of the tiniest symbols. 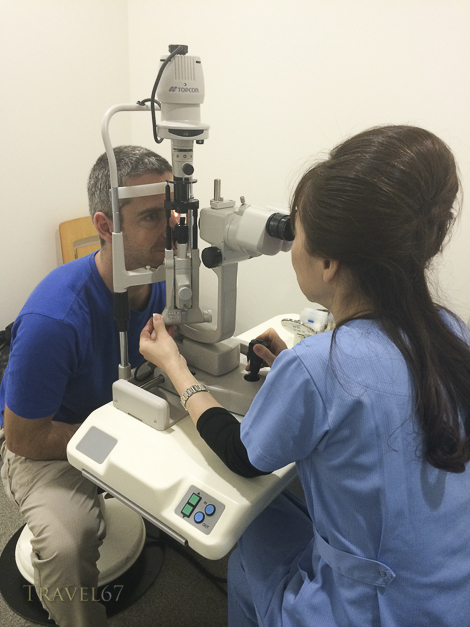 After that Dr. Takahashi checked the health of my eyes and gave me the all clear. I can now start scuba diving again. I have some drops to use if my eyes feel dry at any point, but this was my final obligatory check. Finally Ogata-san gave me a quick interview about my experience at the clinic. Richard Masuda, the international relations staff member, was there to help translate, answer any questions, and in this case take photos. I have been really pleased with the experience, and now recommend the procedure to friends and family. Lasik isn’t cheap, but it definitely feels like you are making a good investment in your health and quality of life. Of course there are many different procedures available and I’ve only had experience of iDesign iLasik, so if you’ve got general questions check out the website and send Richard an email. If you decide to get surgery, tell them my referral code Chris Willson 483-960 and you’ll get up to 30,000 yen off.